The actuators for the knee and ankle joints employ spindle-drive series elastic actuators. While relatively slow compared to harmonic drive-brushless motor systems, these actuators have favorable properties in terms of cost and fidelity of force output. H Geyer, HM Herr. 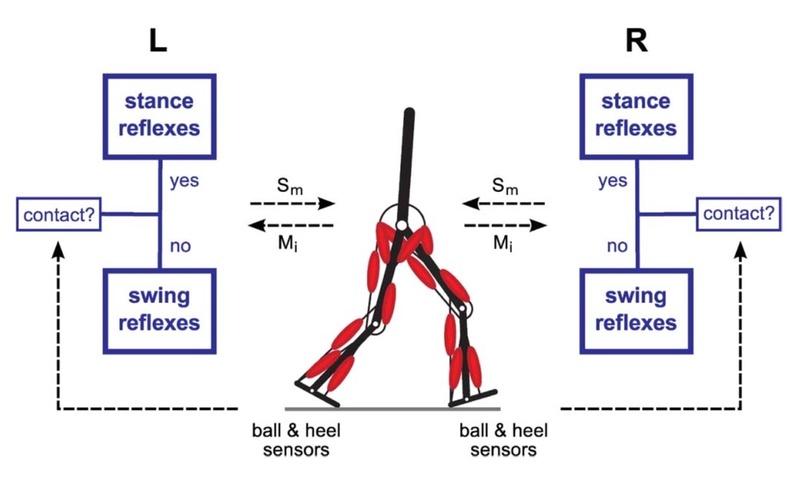 A muscle-reflex model that encodes principles of legged mechanics produces human walking dynamics and muscle activities. IEEE Trans Neural Syst Rehabil Eng 18(3): 263-273, 2010. Our control paradigm builds on the neuromuscular model of human walking developed by Professor Hartmut Geyer of CMU and Professor Hugh Herr of MIT. Hill-type muscles are controlled by networks of simulated neural reflexes, while finite state machines handle the swing-stance-swing transitions. 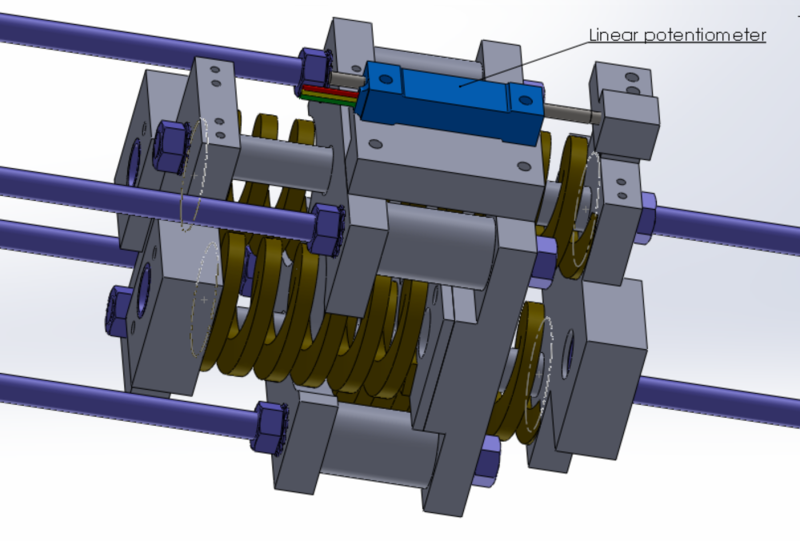 The output of this model provides a desired torque for the series-elastic actuator controller. 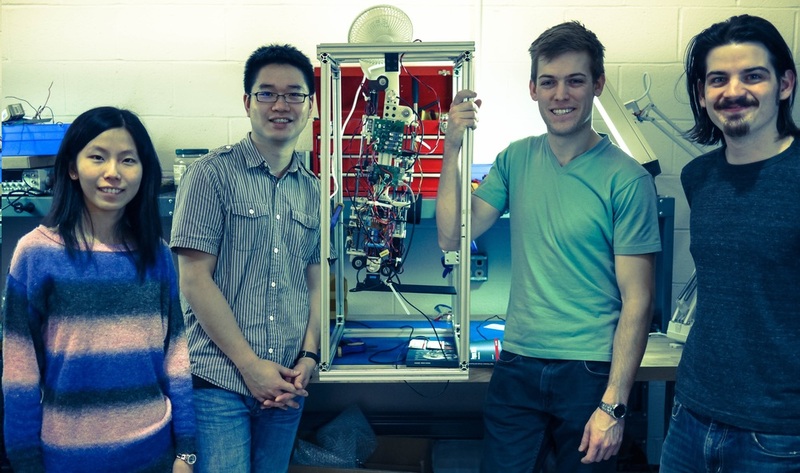 Because the model has no pre-planned trajectory, the leg more robustly responds to disturbances during swing phase compared with strategies based on impedance control.